What is VoLTE, what is 4G VoLTE in Hindi, What does 4G Volte mean, what is Mobile Me 4G VoLTE? 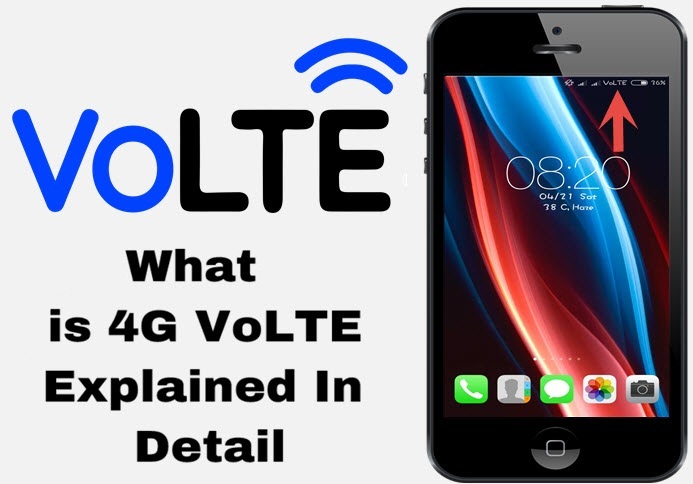 Friends, if you have a 4G phone then you must have written VoLTE or LTE, so many people now have this question in mind that after all what this happens, then you also want to know about this, here in today you will get VoLTE I am about to tell about what it is and what it works. There has been a lot of changes in the mobile phone of the past, and with these revenge, mobile has become even faster and smart and the smartphones are still being made to improve. To make the phone smart, the new technology is brought in or the new changes are made, after which they become a Smartphone of Next Generation. The first analog phones used to be used were then the wireless phone came in. Similarly, the changes that happen in the smartphone are called 1G, 2G, 3G, 4G, 5G. G is meant to be generated from Generation. It is now known to the mobile phones that are called Volte and LTE. Apart from this, data or Internet services also started during this period, whose speed was very slow at just 64 KBps, in which downloading 1MB of the file would take from 1 Hour to 2 hours. After that, 3G or 3rd Generation's smartphone came into it, the speed of the data speed was increased even faster, from 500 KBPS to 1 MBPS. Internet fasting made it easier to watch live TV and to video streaming and make voice calls. After 4G, 4G means that you get data speed from 10 MBPS to 100 MBPS. After 5G that is 5th Generation Future Technology Now you will get high-speed internet which can be unlimited. As I told you that in 2G, 3G ie 2nd and 3rd Generation, the data service and internet speed increased, but the attention was paid, but I have a work or purpose of a mobile phone that means Calling is the 2nd and 3rd In the Generation, calling quality was ignored. The advantage of this is that your voice is heard very clearly for the person you have called. If you call someone through Volte, then it goes to HD Quality and goes through LTE Network 4g so the connection time remains ultra fast. Normally Calling 2G or 3G calls to Call problems, Call connecting problem etc., to solve this feature in 4th Generation Phone. How VoLTE works If your smartphone also has VoLTE, then VoLTE will appear with the Sim Network on the right side of the top of your phone's menu bar. To use ESCOS, you need to have a smartphone which is 4G and also supports VoLTE. Whether my Smartphone volte is supported or not, Do not worry, you can see your specifications online by typing your phone's name in that network. Volte works only when you use the service of the telecom operator, you can provide the service of the vote. For example, if you are a Geo Sim user, then Geo Sim volume is supported. And the phone you are calling from your 4G phone also needs to be violated. One of the biggest advantages of Volte is that if you talk to your friends or anyone else, then their voice definitely gives you HD quality. So you are using 3G service but when you call someone, the company has set its minimum spend rate and was called through the bandwidth you were sponsored, from which call drops, so There was a problem like a connection. First, you will be using Skype, what etc video calling apps to make video calls from your mobile but now you do not need to use any third party app. You can make direct video calls to anyone from VoLTE. But you must be VoLTE in the mobile of the video you are also calling. 4G Volte mobile phone also gets better battery life. Because of this, because when you call someone, the data is disconnected, and when disconnecting the call, the mobile data comes back, that means it is reconnected so that the mobile data in The speed of the resume is also very fast. You can use the data immediately after the call is disconnected.